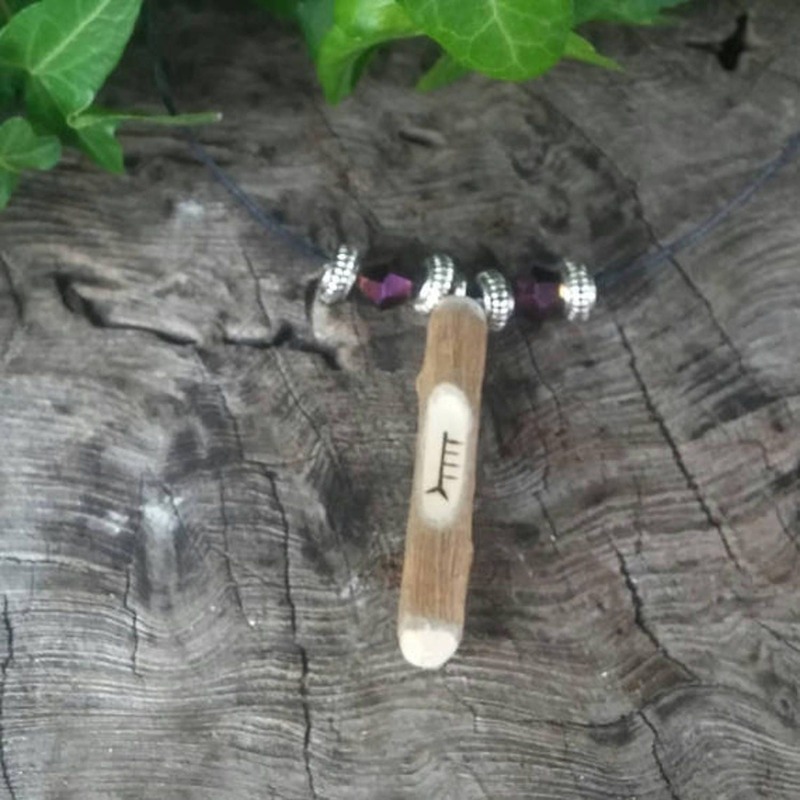 The Willow ogham birth pendant is created for those born during the fifth month of the Celtic Tree calendar, April 15th - May 12th and this is represented by the ogham for this tree, which is also the 5th letter of the Druid ogham alphabet, Saille which is pyrographed onto the wood of the ogham pendant. In witchcraft, the Willow is sacred to Hecate, Brigid, Isis, Diana, and is particularly dedicated to Moon Goddesses. 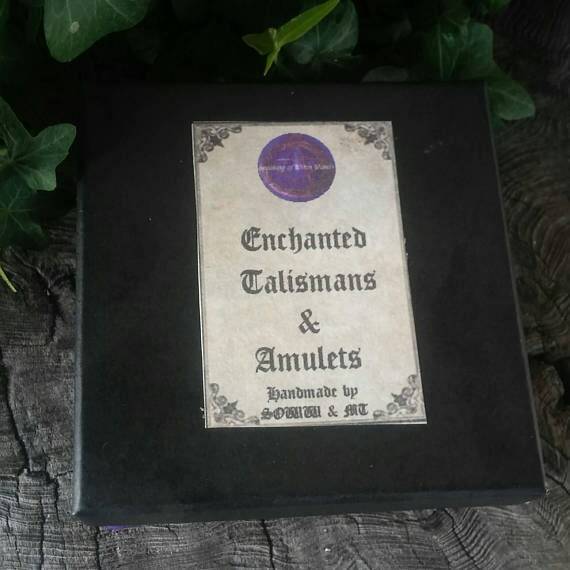 This is extended to Triple Goddess, as well as to witch Goddesses such as Cerridwen, the Welsh counterpart of Hecate, and possibly also Arianrhod, Ishtar, and Rhiannon. 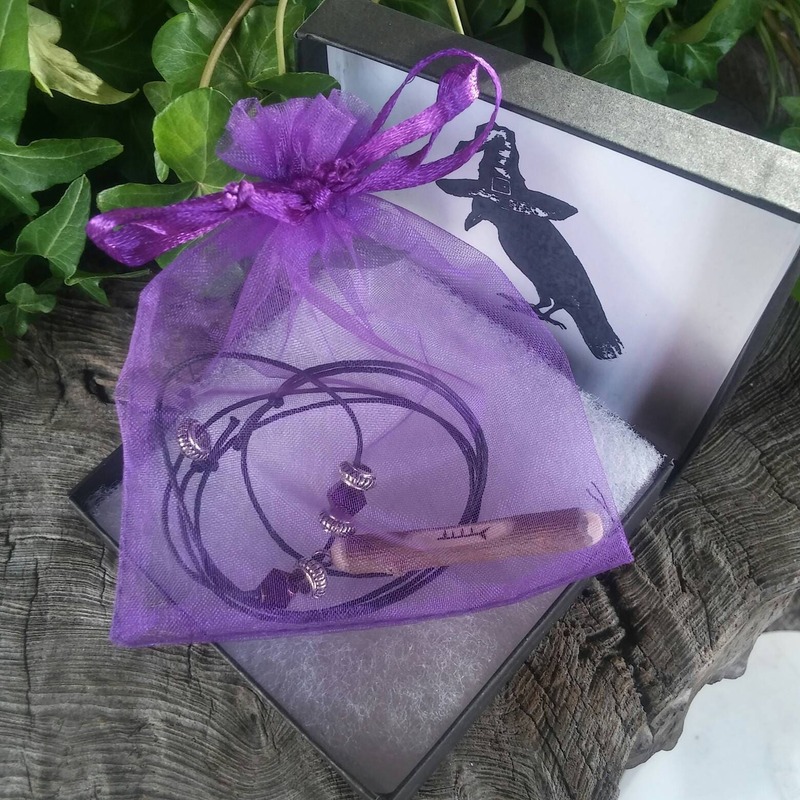 The Willow tree is feminine and usually, but not always grows near water which is also considered feminine, still, it is a wonderful gift for men as well as a gift for women. 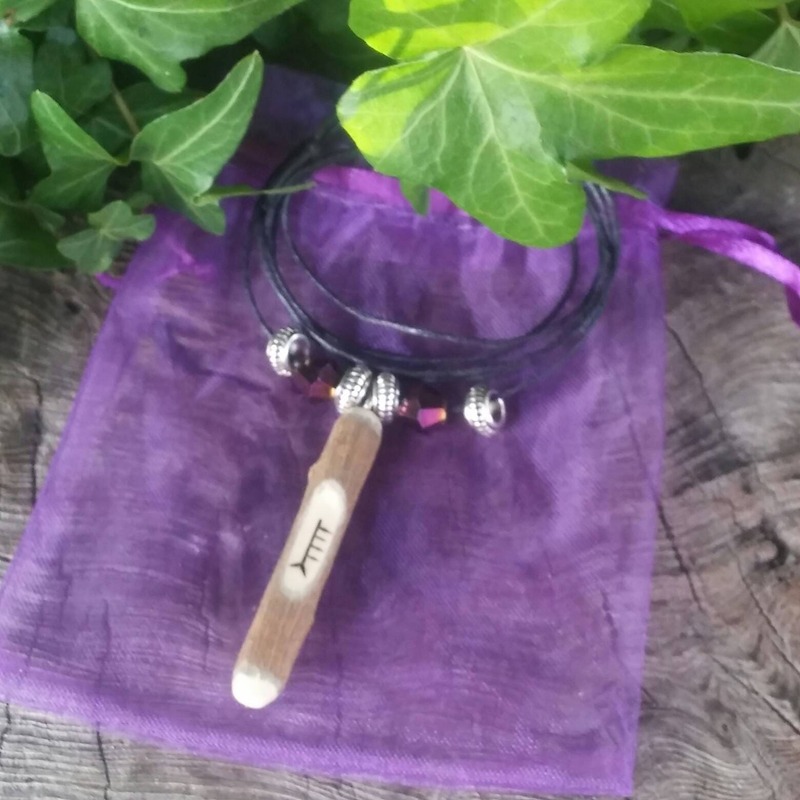 It is an adjustable necklace of waxed cord so you can easily adjust where you wish the ogham pendant to fall. 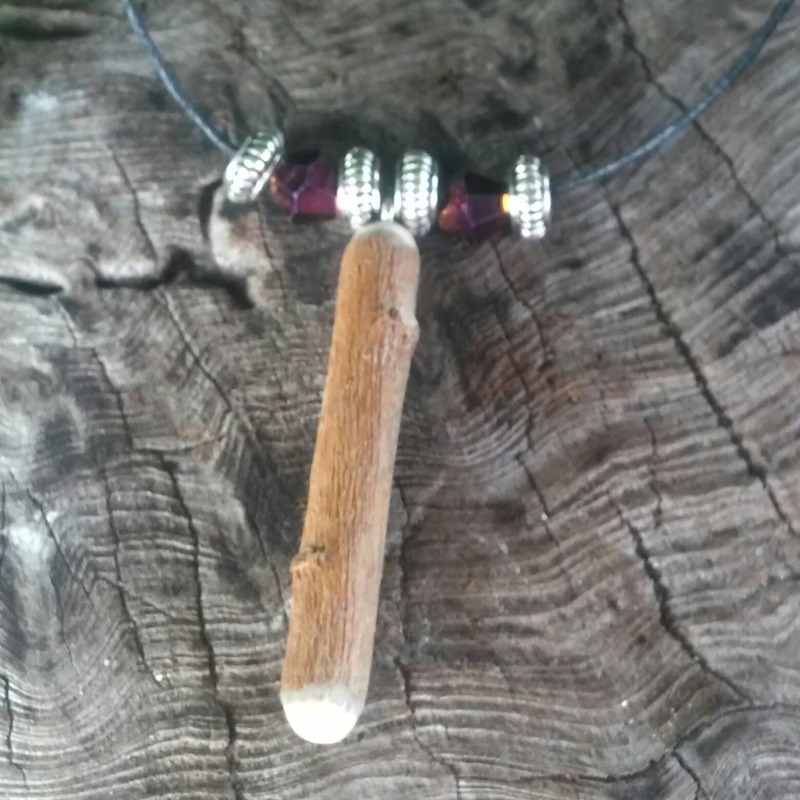 The pendant is made of natural Willow wood and there are silver plated spacers and purple bicone beads on each side of the pendant. 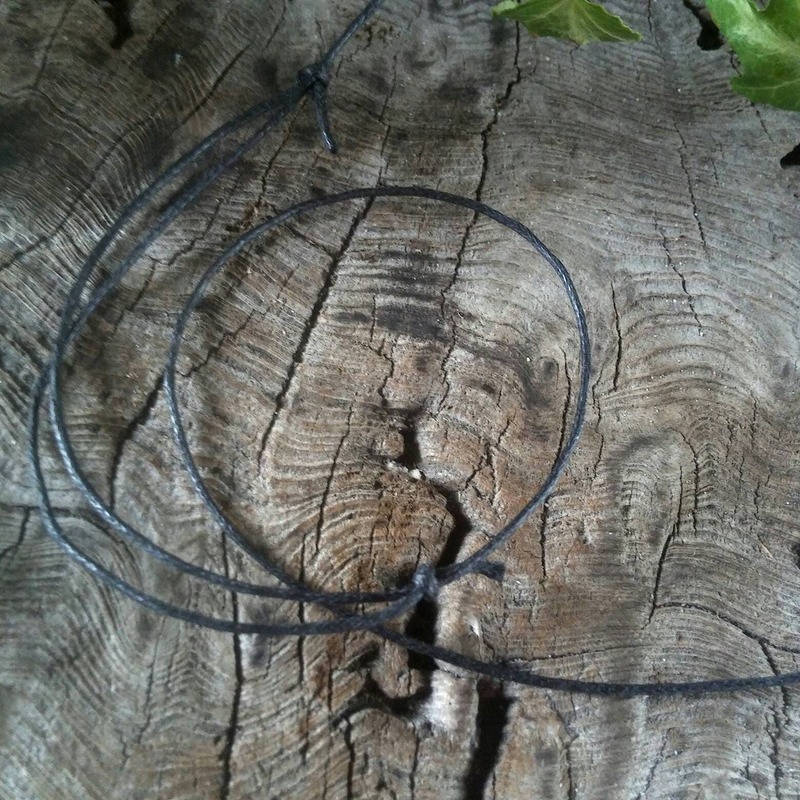 Willow is also a natural protection amulet. Folklore: There is a wide body of folklore surrounding the Willow tree, as with most of the native British trees. It has long had a reputation as a tree of dreams and enchantments, as it's name 'tree of witcheries' shows. Several of the more famous witches of legend lived in groves of Willow trees, such as Circe. Persephone's grove of Willow trees gave the gift of eloquence to Orpheus when he touched the trees growing there – the tree has long had an association with the bardic arts as a result. In magick, Willow is considered a healing wood and also aids in love divination.